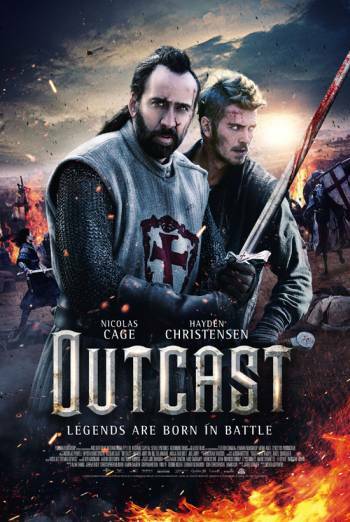 OUTCAST is an action drama about two ex-Crusaders who are drawn into defending the younger son of a Chinese Emperor against a jealous elder brother. Strong violence includes a spurt of blood when a man has his throat slashed with a dagger. There are also spurts of blood when soldiers stab and slash at a man with their swords. There is also one use of strong language ('f**k'). Drug references include a verbal reference to opium and sight of small black lumps of the drug. Sexual references include a man threatening to make another man’s wife “spend the rest of her life pleasuring my guards".